Have you encounter the screaming of your kids when passing by toys aisle in the shopping mall? Or the tantrum in the public when they don’t get what they want? Surely stir up our emotion, right? And the very next minute, the newly bought toys, are added onto the pile of broken toys, like always. Kids are little cute explorers and like to test out everything around them. Experiencing on their own is always their passion. Playing is their passion. Jumping and rolling is their passion. It gives them opportunity to develop and practice new skills at their own pace. Utilising their body and things in their surrounding help them to learn about the world. Toys, unlike gadgets will help more in their development too. However, choosing toys for your kids is not as easy as 1 2 3. There are plenty types of toys in the market. To choose the right one to meet the objective of their major development milestone. How do you purchase toys that are right for your kids? Or toys that are safe yet affordable? How can you tell that the toys you opt for will long lasting and high quality? And how to select toys that can engage their interest long enough before you need to buy another? The following are some ideas that will be useful, in choosing toys that will grow with them, give them challenges and adventures as well as nurture their development. Used to hear the 3 in 1 term? Exploring every inch of their toys is just children nature. Pull out, take apart, add on, stack up and build up, they just like to see the end results. Toys that have multiple function and can be used in variety way will stimulate their imagination and help them to improve their logical thinking skills too. Such toys, might able to assist the kids to achieve different objective to improve their skills while allow them enjoying every bit of the toy for a longer period! Examples: Building Blocks, manipulative toys, 5 in 1 cube toys, and toys for sand and water play. “Bob the builder, Can we fix it? Playing encourage children to practice new skills over and over again. Toys that requires the kids to think and construct structure on their own or with a little guidance stimulate their logical thinking, cause and effects and spatial relations skills. You will be amazed with what they can do! vity, they might be imagining fighting with pirates on the antique ship where the reality is they only playing in the living room. At certain point, they might even be copying you! Walk like daddy, talk like mama or laugh like their elders! Kids were born as a kinaesthetic. They love physical tricks and more confident with their bodies. Toys that aid them to practice and utilise their physicals not only make them stronger but improve drastically their fine and motor skills. As nowadays, lots of parents prone to let their kids engage with smartphones and gadget. They spent more times with touching the screen rather than playing outdoor. The restriction in movement might delayed their development, including language and survival skill. Even 10 minutes of physical activity changes the way the brain functions and definitely help the kids to think out of the box. Hey, not everything can be googled all the time! 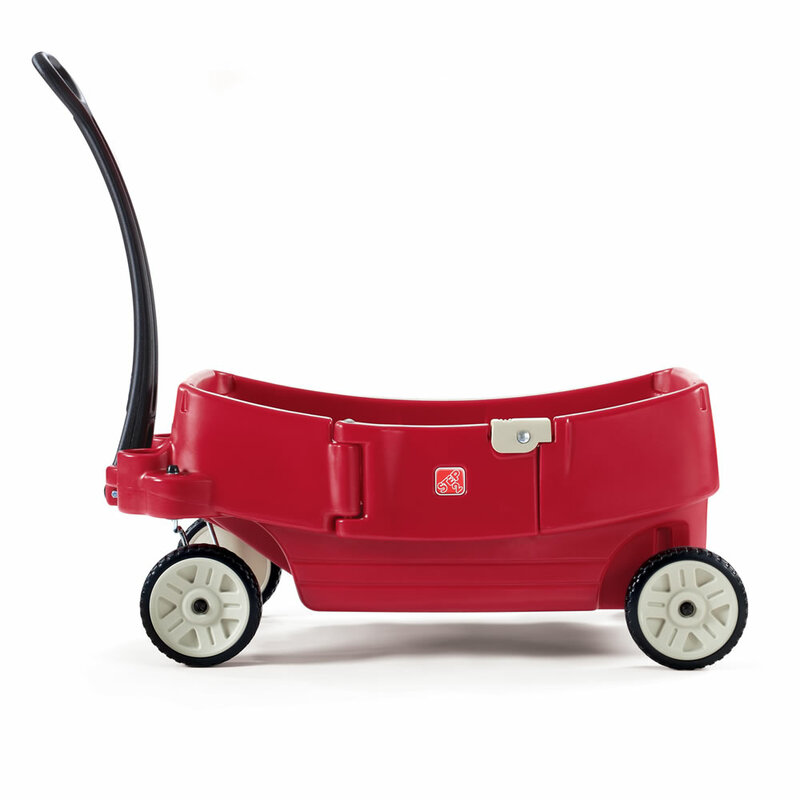 Wagon allow kids to practice their gross motor skills through pulling and pushing. Having this is convenience too when they can collect their toys into the wagon and tidy up their play place! Toys that nurture cross-generational play develop communication and speech of the kids. They will also able to add new vocabularies into collection and enhance their reading skill too. Play it with friends or family, have all the joy while strengthen the relationship. As such games allowing more than 1 player, it also educate children with values like being a gracious winner and cope with losing. Bonding time with family is always precious!